Schubert secures contract with Riverside Natural Foods thanks to a flexible automation solution and convenient service location. 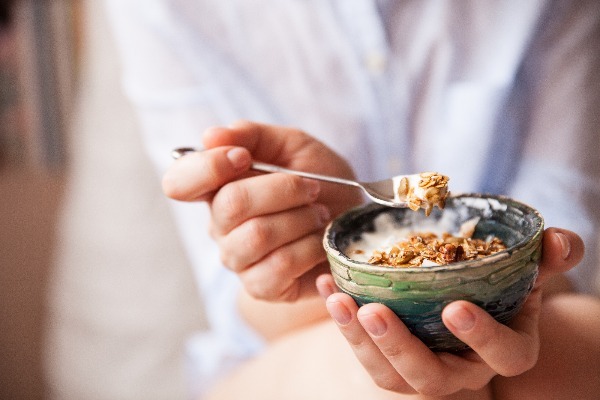 Canadian company Riverside Natural Foods produces granola bites (minis) and bars under the brand MadeGood with ingredients sourced from organic farming—offering consumers a healthy energy boost between meals. 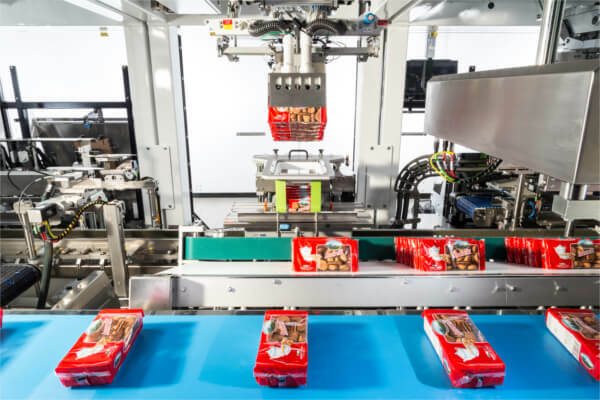 As a result of its growing success, the company decided to automate its final packaging process for flow-wrapped granola minis snacks. 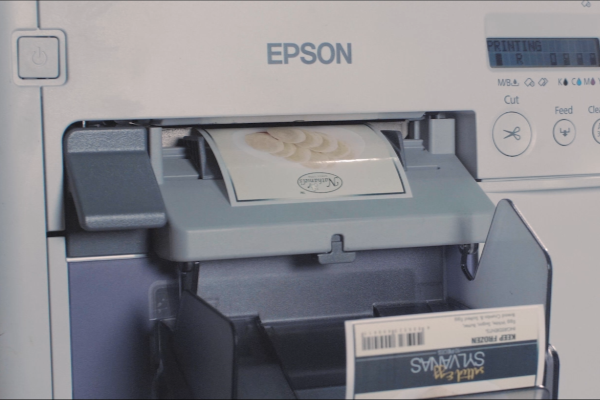 Riverside opted for a TLM system from Schubert and was impressed with its high flexibility and scalability to future packaging tasks. Close proximity to Schubert North America’s Canadian team, which ensures comprehensive service, was also a decisive factor for Riverside. Riverside Natural Foods opened its doors in 2013 in Vaughan, Ontario (Canada), as an innovative start-up company manufacturing a variety of snack products. All Riverside products are free from the most common allergens and made entirely with organically grown ingredients. The company currently sells bite-sized granola minis and bars in more than 8,000 stores in Canada and the United States. Until recently, Riverside packed its snacks semi-manually. The company’s huge growth called for investment in a fully automation solution. Since March 2018, the company has relied on packaging technology from Schubert for the final packaging of its granola minis products. In addition to the technical aspects, the Canadian customer was immediately impressed with the system’s compact design and quick format changes. An important factor in favour of Riverside opting for Schubert as a partner was the supplier’s geographic proximity and personal contact. Schubert Packaging Automation’s Canadian office is only half an hour away from Riverside’s production site in Vaughan. With its local service technicians and a comprehensive range of services, Schubert can ensure reliable production for all its customers in North America. Riverside ordered a TLM picker line from Schubert with five sub-machines for the final packaging of its MadeGood brand of granola minis. The TLM machine was intended for the final packaging of flow-wrapped granola minis with packages of different flavours into a variety of carton sizes and in special bag formats. As per customer specifications, Schubert developed various packaging sizes which were created in close collaboration with Riverside in terms of packaging design and ideal machine operation. Riverside produces its bite-sized granola minis in five different flavours: chocolate chip, mixed berries, apple cinnamon, chocolate banana and strawberry. Currently, the delicious snacks are packed in boxes of 4, 5 and 28 packs, each with one flavour. Five identical pick-and-place robots place up to 400 bags per minute into boxes at the Riverside site. Moreover, different flavours can be intelligently pre-grouped with the help of Schubert’s Transmodul transport robot and the use of an image recognition system, so that the granola minis can either be automatically packed on the TLM machine or, as an option, manually packed in large bags of 20 products each. 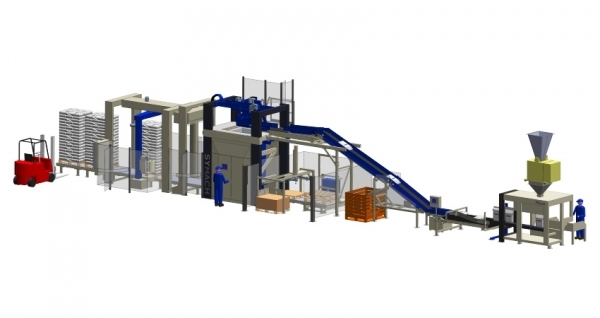 The products are fed by three identical vertical TNA flow-wrapping machines with a capacity of up to 150 bags per minute. For packaging in cartons, the products of one flavour are fed along up to three of the system’s continuously running conveyor belts. At the same time, the different carton blanks are automatically taken out of the magazine, and then erected by an F2 robot and glued together. The Transmoduls transport the boxes to the next station, where five F4 pick-and-place robots fill them with the products. Two scanners detect the orientation and position of the flowpacks over a width of 600 mm. This information is transmitted to the F4 pick-and-place robots for the correct pick-up and placement of the flowpacks in the boxes. The filled boxes are then transferred by a first F2 robot to a vacuum conveyor and there closed by a second F2 robot in one step and placed on the outlet conveyor. For the special format packaging of the flowpacks into larger pouches, the scanner also recognises the flavour based on product colour. This enables the intelligent pre-grouping of granola minis with different flavours, which are supplied unsorted on the product belt. The flowpacks are pre-grouped in groups of four—each with two flavours—on the Transmoduls and transferred to the output conveyor by means of an F2 robot for further processing by Riverside. The colour recognition function for the pre-grouping of different flavours was not originally part of the machine order. But Schubert was able to integrate this subsequently on site in time to put the system into operation. The Schubert machines’ modular TLM technology offers high-level scalability and flexibility, so Riverside’s growth can now continue unimpeded. Expansion of either the product range or performance can be implemented quickly through additional modules or robot tools. 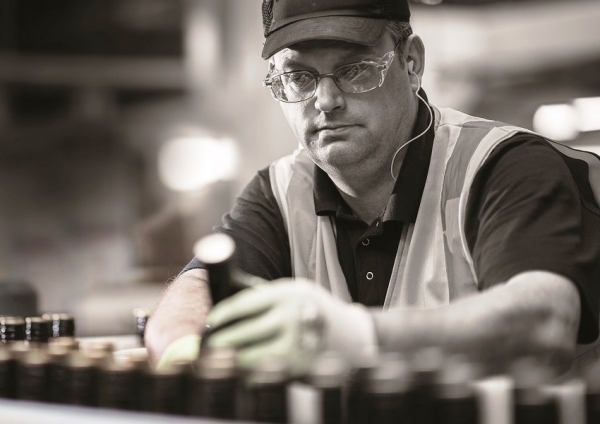 “Our space-saving systems, which can be expanded flexibly as production increases or as formats and product combinations vary, ensure maximum flexibility and efficiency. This allows our customers to respond quickly to changing requirements without their having to invest in a new line,” explains Giorgio Calorio, Sales Representative at Schubert Packaging Automation in Canada. “We look to Schubert to deliver superior engineering, efficiency and flexibility while maximising floor space optimisation. Local support and service was also an important decision factor. 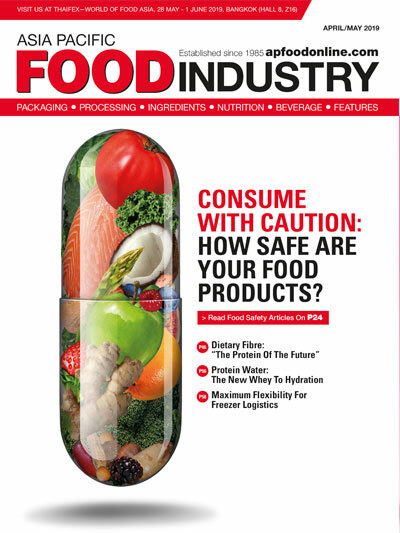 We are optimistic that this solution will help with our growth,” says Nima Fotovat, President of Riverside Natural Foods.